There is a great article from Jeff Dunetz, the Yid With Lid Blog, entitled "Bibi's Congressional Trip A Necessary Risk Or A Major Blunder". I agree with Jeff's points in the article and it's conclusion: Bibi's congressional trip is a necessary risk. Iran is an existential threat to the state of Israel and it is the responsibility of the Prime Minister of Israel to do everything in his power to keep Israel safe. And that includes [these are my words] hurting "poor" Barack Obama's feelings, if he must. Please read Jeff's article by clicking here. I bring out this article to you in response to the idea put out by the Obama administration that the Prime Minister of Israel has "spit in the face" of the president and there has been a breach of protocol, by ignoring the president and accepting an invitation by the congress to speak before them next month regarding the need for sanctions on Iran. 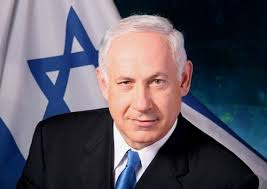 No, I do not believe Bibi Netanyahu has breached protocol or "spit in the face" of Barack Obama or the United States. "Plus big Jeff, this president all of a sudden concerned about protocol and spitting in the face of an ally is the same President who, without first consulting Israel & while Bibi Netanyahu's plane was in the air, told the world [in a state department speech] that Israel and the PA should hold negotiations with the starting point being the pre 67 borders." "Did that break protocol Mr president? Was that spitting in the face of Prime Minister Netanyahu and Israel?" And I must add here this isn't the first time this administration has broken protocol with their ally Israel. How many times have the Secretary of State or a spokesman for the President, or the president himself told the world in a scolding way, without first consulting Israel, that Israel must stop their building in their capital Jerusalem and elsewhere in their country. Hmm, I wonder if anyone would call it breaking protocol if the Prime Minister of Israel told America they must stop any new building of homes in Washington, D.C.? Yes, there has been a breach of protocol and spitting in the face of an ally. And it has been done by this president of the United States and his administration against Israel. Netanyahu did spit in Obama's face. But I don't mean that in a BAD way. :-) I hear you key man!